In Got Proof! My Genealogical Journey Through the Use of Documentation, I hope to capture the attention of genealogists, historians, and others interested in the complex social structure that developed during the French and Spanish colonial periods in Louisiana. I explore the forbidden relationships from which evolved the unique Creole culture. 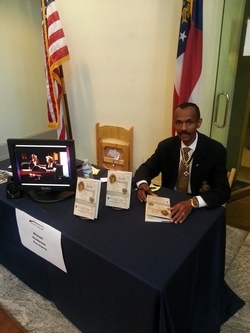 Revealing original documents from as far back as the 1770s, I use my own experiences as a family history researcher, as well as the insight of noted scholars, to reveal the methods, standards, and techniques used to prove my ancestry. As a kid growing up in Algiers, a neighborhood in New Orleans, Louisiana, I was curious about my family—how I was related to each of my extended family members and why we were considered Creole. This innocent childhood curiosity led me to inquire about the spelling of my maternal grandmother’s maiden name: Mathieu. When told by my mother that “the family was French Creole and that’s just the way they spelled it,” I was unsatisfied and continued asking questions of my elders. Years later, as a young lieutenant in the U.S. Navy, I interviewed a distant cousin—the family historian—who told me of the haunting tale of an ancestor who lamented for years, “They wouldn’t allow us to use Daddy’s last name.” That family lore spurred me on a 2-decades-long journey to discover “Daddy’s last name” and why the family was prevented from bearing it. Throughout my journey, I visited archival depositories across the United States, met noted history and genealogical scholars and researchers, attended conferences, and traveled to Marseille, France, where I met with an unlikely French cousin. With each bit of information uncovered, I desired to connect with a more experienced genealogist to assist and guide me to the answers I sought. I uncovered one document after another, most written in French or Spanish, that revealed an engaging tale of love and freedom in the midst of Louisiana’s involvement in the American Revolution. As the story of a free woman of color and her French consort unfolded, I sought a viable source to tell the story of my ancestors on a broader scale. Little did I know that I would eventually become both the historian and the storyteller I sought. 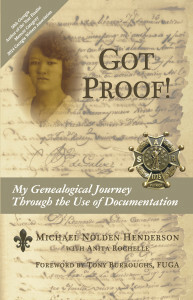 To receive a signed copy of Got Proof! click below. Pingback: Behind the Scenes at MAAGI 2016 – who is nicka smith?